Being a part of LEDMyplace’ commercial line of products, 2Ft 165 Watt LED Linear High Bay Lighting is capable of providing the best lighting inside the commercial space with 21,450 high lumen output. Ideal for indoor warehouse or any commercial space with a ceiling height of 15ft. - 25ft. The clear cover helps it become more efficient with brightness. It can be easily mounted on the ceiling of any indoor commercial space, Its high efficiency and durability make it easy to handle and it requires zero variable maintenance cost. A replacement to 400W MH fixture, the LED 165W Linear High Bay Clear fixture helps save worth 180W per fixture. 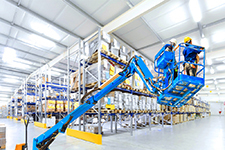 A commercial unit requires a lot of these fixtures, so just calculate your savings. Available Color Temperature is 5700K which makes it an ideal color temperature for indoor commercial space. With a lumen output of 21,450 Lumens and Lumen Efficacy of 130 Lumens/Watt, LEDMyplace’ Linear High Bay will bring in more brightness than any other light of some kind. 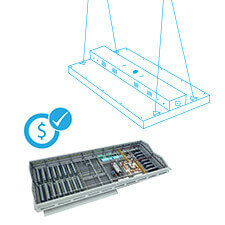 The lifespan of our LED Linear High Bay fixture is 50,000 hours. which means even if it is turned ON for 12 hours a day, it would last you for more than 6 years. This fixture can easily be mounted on the ceiling of the space, reducing installation time to one-fifth of what traditional fixtures consume. 5 years of Manufacturer's Warranty and 30-day return policy will keep you on the safe side. It’s an easy installation for the recessed lighting provided through UFO high bay. The hanging ring that comes with our UFO high bay must be inserted into the hole of the lamp and must be tightened through a bolt on the hanging ring itself so that UFO lamp is now firmly fixed. This must be now mounted on the ceiling via a hook. For details, you must check the complete manufacturer’s instructions that come along with the product. For hook mounting of the UFO high bay, you must have a hook that is heavier than the lamp. Make sure the weight of the hook is 3-4 times heavier than the UFO lamp. The UFO high bay lighting fixtures come with a big heat sink manufactured out of aluminium for excellent heat dissipation. 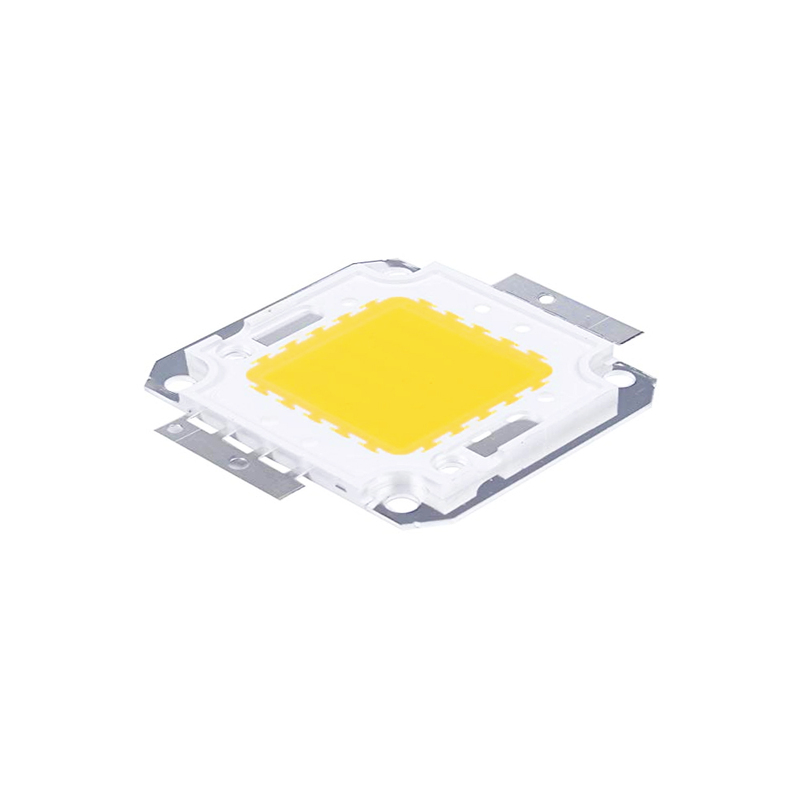 In order to maintain highest quality of the product, we use premium LED chips from Epistar. The chips are packaged inside the product with high precision and accuracy to render maximum operational efficiency to the product. This rating means our UFO high bay is protected against dust-tight and water ingress coming through a nozzle made possible through a Meanwell IP65 driver inside the product. 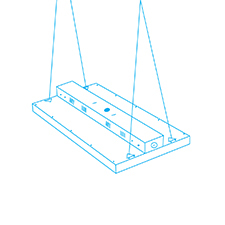 This product comes with a beam angle that is too wide and not less than 120 degree which is utilized for illumination of wide areas and huge spaces. The housing of our UFO high bay is designed in rugged die-cast aluminium to impart the fixture the necessary durability for withstanding any external tampering. The UFO high bay as a dimmable product can be dimmed from 10 volts to 0 volts, 0V being the minimum light level that can be achieved and 10V being the highest level of dimming allowed by the dimmer. At 10 volts, the controlled lighting is at 100% of its potential output. Make sure you have a compatible dimmer for our UFO high bay dimmable light. The more than standard CRI for UFO high bay helps viewing of objects and surfaces with greater clarity and in their true colors in comparison to what they would look without any artifical lighting. The motion sensor comes as an accessory and you can choose to have this with our UFO high bay as it helps in alerting you to an intruder especially when you are away. The UFO high bay being DLC approved comes within the scope of rebate-eligibility criteria and hence you can be eligible for rebate if you decide to have one of our leading products under the commercial segment -- UFO high bay. I received the lights ahead of schedule the quality of the lights are excellent. the client was more than satisfied and now wants to complete the entire Warehouse which will be the installation of 137 more lights. The only issue I had was the play on the top for The Knockouts for the BX cable to fit in is a little bit flimsy but if you use the knockouts on the ends of the lights you don't have that problem.